Looking again at these photos from Friday December 6th 2002 reminds me of the drama of those few days. The smoke laden air preceded the slow fire advancing from the West. 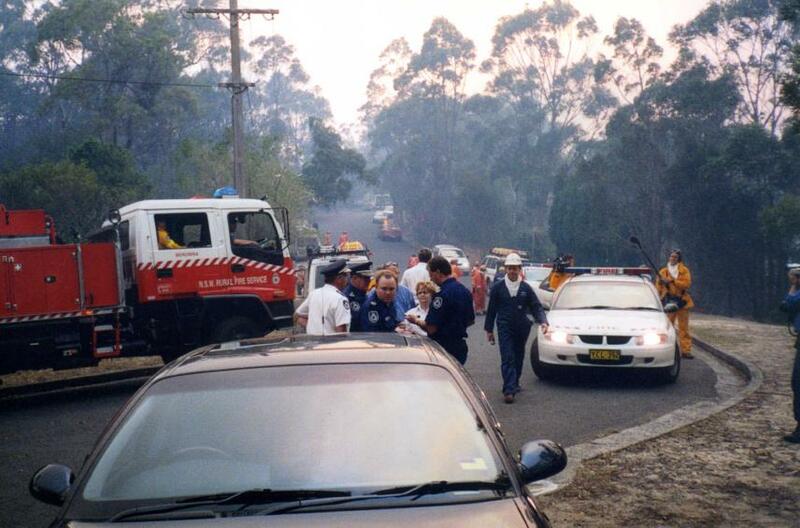 The fire neared the Turner Rd-Coreen Close corner of Berowra Heights by that afternoon. 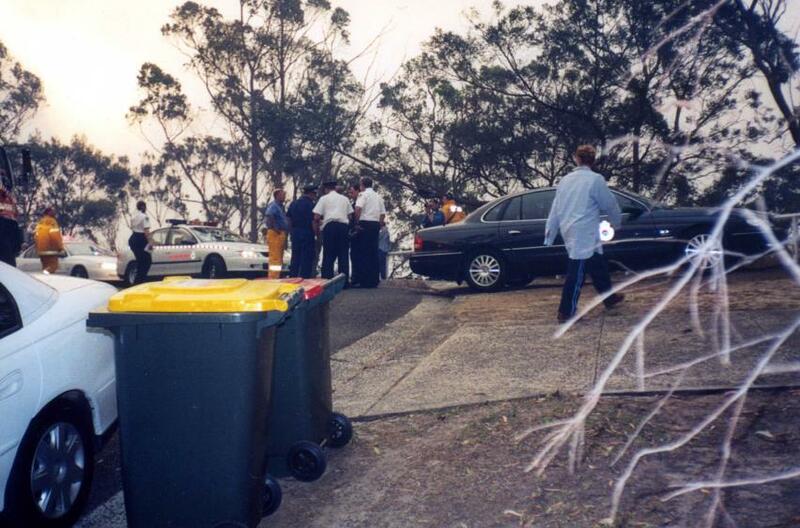 People who met there to discuss the situation included our Mayor at the time John Muirhead & the Commissioner of NSW Rural Fire Service at the time Phil Koperberg. Well managed action by our fire services ensured full evacuation was not required but, unfortunately, fire damage to houses was sustained elsewhere in our suburb and a quiet, black landscape was on view at the corner.